Dining room is probably the most important place in your home. It is a place where you enjoy delicious meals and spend memorable moments with your family and friends. This room is also used for serving guests and for holding parties. So it is extremely important that your dining room is well arranged and decorated. Below mentioned are some useful tips that will help you in making your dining room appear attractive. 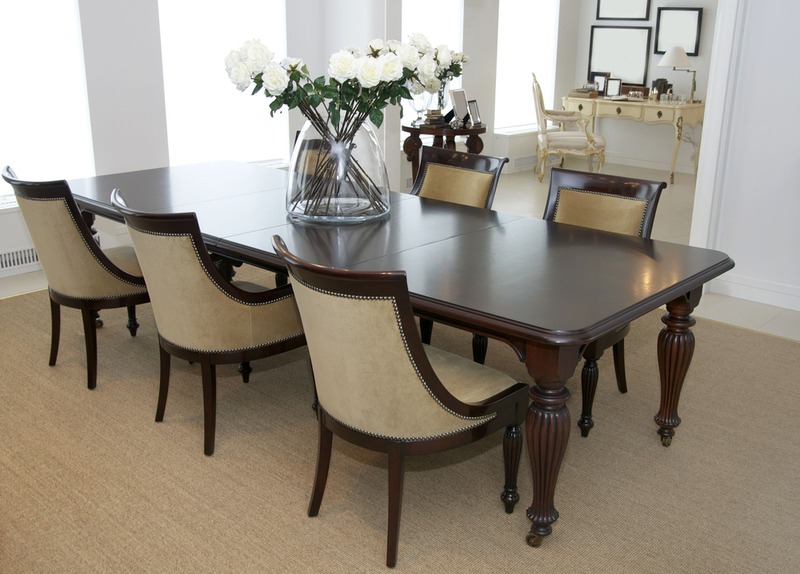 Here are a few tips on optimizing the arrangement of your dining room furniture. Make a correct assessment of your dining room space- Before selecting an interior designing plan for your dining room, first of all make a correct evaluation of the space available in your dining room. Every interior plan does not work in a particular space. So before looking for the decorative measures you must calculate the area of your dining room using a measuring tape. You must calculate the amount of space available along with all other information relating to windows and other fixtures etc. Only after knowing all the finest details you can decide on the interior design that you can use. Don't use extra furniture- If you visit a furniture store you will find so many furniture items that it will be difficult to select among them. The furniture items that you will come across will be extremely elegant attractive and comfortable. You might end up purchasing a lot more furniture items than you require. An overburdened dining room doesn't appear attractive. A space of at least twenty inches must be kept vacant around the dining table for free movement. Always remember free movement is extremely essential in a dining room. Use the chandelier in the middle- Though some people like to place the dining table at the corners, but they appear more elegant when placed under lights. The chandeliers, not only impart light but are also excellent ornamentation material. Chandeliers are generally hung in the middle of the room. If the dining tables are placed beneath the chandelier they will appear more attractive. Again everything depends on the amount of space available. In a large spacious dining room, dining tables can be easily placed in the middle of the room under the chandelier. But if the dining room is smaller in size then the tables have to be placed in the corner to allow movement through the open space. Choose furniture which compliments your dining room's interiors- You must try to purchase furniture items which gel with the surroundings. For instance modern white dining chairs and dining tables will go well along with the white painted walls of a dining room. It is not necessary that the colors should match. Different colors can also complement each other. Similarly if you have used elegant interior designs in the room then furniture with similar designs would be more suitable. Be flexible- It is not necessary that if you have placed your furniture in a certain manner then you have to keep it that way. You can always move things and rearrange them in a different manner to enhance the appearance of the room.